There are plenty of adjectives to describe Thursday night’s NBA Draft if you’re a Celtics fan. Underwhelming, disappointing, uneventful, confusing. There had been a lot of talk from fans, media, players, and management about potentially moving their lottery pick and bringing a big name free agent to Boston. That didn’t happen. The next best option was to use that number three pick to try to address some of their glaring needs. I’m not really sure if that happened either. Jaylen Brown is an incredible athlete. He’s probably already the best athlete on the Celtics. The guy looks like a 6’7″, 225 pound Russell Westbrook when he’s slashing to the hoop and he has the potential to win a Dunk Contest or two. The issue is that he can’t shoot, which was one of those “glaring needs” that I was referring to. The Celtics took the third most three-pointers in the NBA last season but were only 15th in three-point percentage. Their best shooter from long range was seven-footer Kelly Olynyk. The best pure shooter on the roster currently is RJ Hunter, but whether or not he gets consistent minutes is dependent upon how well he does other things besides shoot. 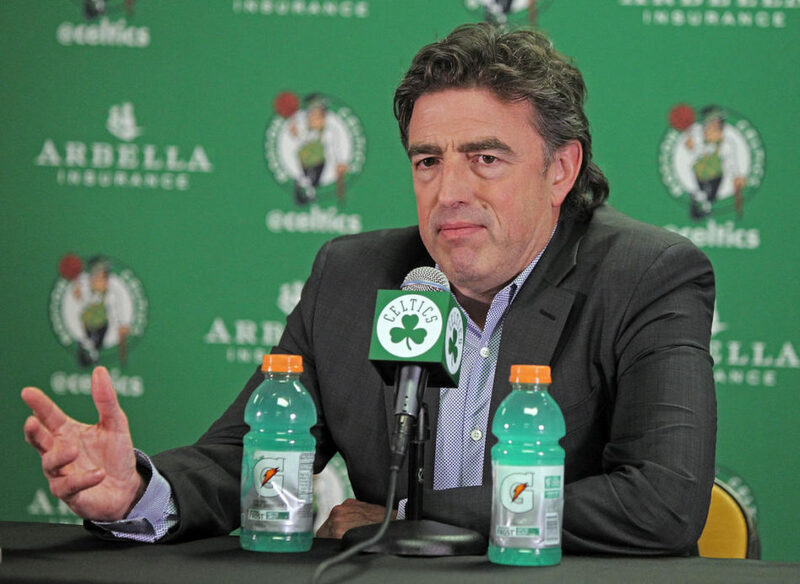 But for the third year in a row, the Celtics decided to use their first pick of the draft to select a talented, hard-working player who unfortunately can’t shoot a lick. Marcus Smart, Terry Rozier, and now Jaylen Brown. Just like Smart, Brown is big for his position and is a lockdown defender. And just like Smart, Brown isn’t a great ball-handler. If he can become better at dribbling and shooting then his potential is through the roof, but at 19 years old it will likely be a few years before we see any major improvement. The other glaring need for the Celtics was a post presence, which was painfully obvious in their first round playoff loss to the Atlanta Hawks. Both standing at 6’9″, Jared Sullinger and Amir Johnson are undersized and inconsistent at the center/power forward positions. And the fact that Sully played almost twice as many minutes as Tyler Zeller in the playoffs despite averaging just 5.2 points and 4.5 rebounds on 31% shooting tells us that Brad Stevens doesn’t have much confidence in TZ either. The seven foot Zeller played just 11 minutes per game in 2015-16 and averaged 6.1 points and 3 rebounds. The Celtics have two big men on their team who aren’t considered to be undersized for a big man. They are Kelly Olynyk and Tyler Zeller and they averaged just 4.1 and 3 boards per game last year, respectively. The top six rebounders on the C’s were all 6’9″ and under. A lot of people think Jordan Mickey is the rim protector the Celtics need, but he’s only 6’8″. With the 19th pick, the C’s grabbed another European that no one’s ever heard of. Guerschon Yabusele from France. The 6’8″, 270 pound, 20 year-old forward shot 53.9% in the French League, averaging 11.5 points and 6.8 rebounds per game. Guys who have played their whole lives in Europe are hit-or-miss in the NBA Draft, and more often it’s a miss. We definitely don’t want to be too quick to judge, and the Celtics fans who booed the picks should definitely turn in their fan cards. Let’s at least give these guys a chance to prove themselves before we start bashing them on what should be the happiest day of their lives. But the frustration is justified. Ever since Paul Pierce, Kevin Garnett, and Jason Terry were dealt to Brooklyn three years ago, we’ve been waiting for this draft. This was the draft that had the potential to catapult the C’s to the forefront of the Eastern Conference. Instead, they’re no better than they were when they were eliminated from the postseason two months ago.